Being environmentally friendly has become a way of life for many people over the last decade or so. More and more people are looking for ways to be environmentally responsible, from recycling to buying hybrid cars. It stands to reason that environmental awareness should extend to fundraising. Go green to raise green! The hardest part about planning a green fundraiser is choosing what to do. There are so many easy and fun ways to help the environment while helping your cause, it's hard to know where to begin. One way to address this is by looking around your community to see what it needs. Is there a recycling program in place? If so, for which materials? 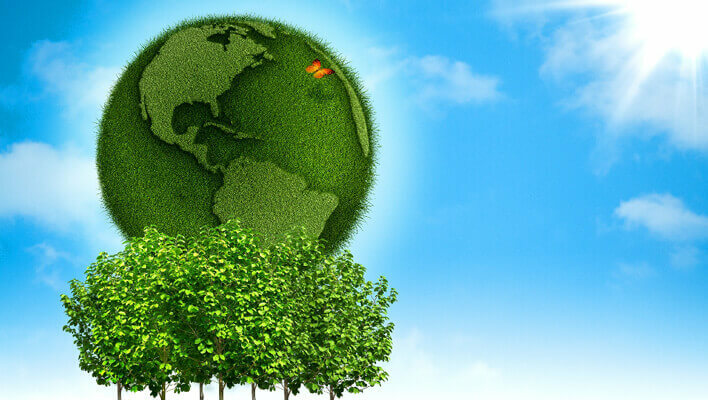 Are environmentally friendly products readily available? Do the local vendors offer ways to contribute? Does your community seem open to environmental efforts? The answers to these questions will help you start planning and decide on the best type of green fundraiser to host. There are several types of green fundraisers that anyone can plan. Choose the one that best suits your community, and your cause. Special event fundraisers are those that entail an actual event that requires participation on the part of the contributors. Some common examples are plays, dinners, auctions, raffles, and car washes. But be careful! You're trying to be green. A car wash, while a popular special event fundraiser, isn't exactly a green option. Think of all the water used. Try to look at common choices in uncommon ways. Just about any kind of event can be turned into a fundraiser, and with a little more thought, a green fundraiser. Remember that it may require securing a location or facility, advertising, and ticket sales. Some things can be made by the fundraising committee, while others can be inexpensively purchased from fundraising planning companies. This type of fundraiser is also known as pre-sales, catalog sales, or brochure sales. A sponsor company will provide your group with items to sell, and catalogs or brochures to display what products are available. The company may even provide a sample to show potential supporters. Volunteers will make catalogs available in whatever way the group chooses to, either by setting up a stationary location that sees a lot of foot traffic, or perhaps going door to door. Supporters choose the products they want, and fill out an order form. Volunteers send the orders in to the sponsor company, and either collect funds at the time of order, or upon delivery of the products. The company handles all the shipping, meaning the fundraising group doesn't have to manage any inventory. In this type of fundraiser, your group would purchase an inventory of whatever products the group decides to sell, and then sell them directly to supporters. This requires more work including managing the inventory, collecting payment, and delivering ordered products. If all these things can be accomplished at the same time, all the better. That's where having the inventory on hand is convenient. In some cases, the sponsor company will require your group to collect payment at the time of ordering. One example is if the products offered require some sort of customization or personalization. This is probably the easiest green fundraising option. Think about it—no gas to drive anywhere, no paper catalogs or brochures, no checks to write. Everything can be done via the Internet. The best way to start is with a customized website for your group. You can either just provide information about your cause and ask people to contribute, or you can sell products via the website. If you sell products provided by a sponsor company, you receive a percentage of sales. In addition, rather than actually listing the products on the group's website, you can provide links that take potential supporters to sponsor sites that provide products and pay a percentage of any sales generated by your links.